This article originally appeared on Seeking Alpha on February 21, 2018. 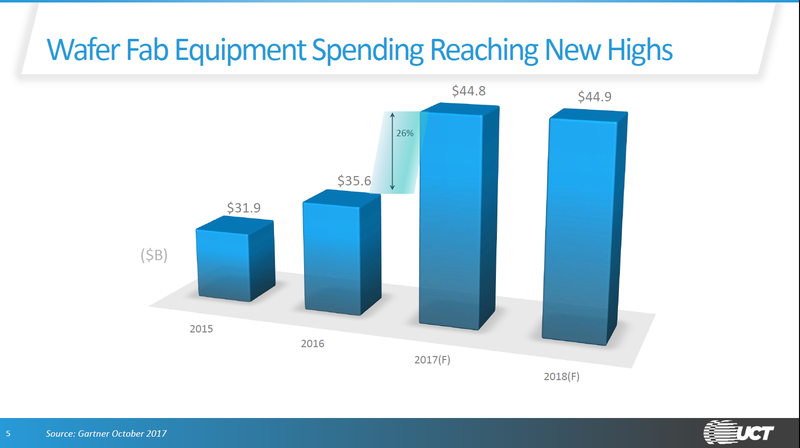 Ultra Clean Holdings is riding a semiconductor equipment boom. 3D NAND chips will expand investments in new fabrication machinery. Management has an optimistic outlook for sales. An earnings power valuation demonstrates upside potential. Industry cycles and the reliance on two customers adds risk. 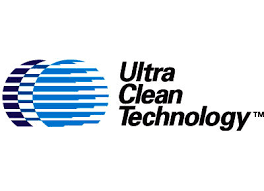 Ultra Clean Holdings (UCTT) is a manufacturer and supplier of critical components and engineering expertise to semiconductor capital equipment manufacturers. They also supply parts for fabricators of OLED display systems. UCTT was founded in 1991 as a division of Mitsubishi Metals. The company was eventually spun off and it went public in 2004. Earnings are scheduled for release following market hours on Wednesday February 21. Shares surged 6% during Tuesday trading and closed at $20.36. On January 16, UCTT guided fourth quarter revenues towards $250 million and operating margins are predicted to be between 8 and 10%. Similar margins are forecast for the first quarter of 2018. When final 2017 results are tallied, sales will have exceeded $900 million, an increase of 62% over 2016. Sales will surpass the $1 billion mark in 2018. I penned this article Monday when shares traded hands at just above $19, so my commentary has already burned through some of its analytical fuel. 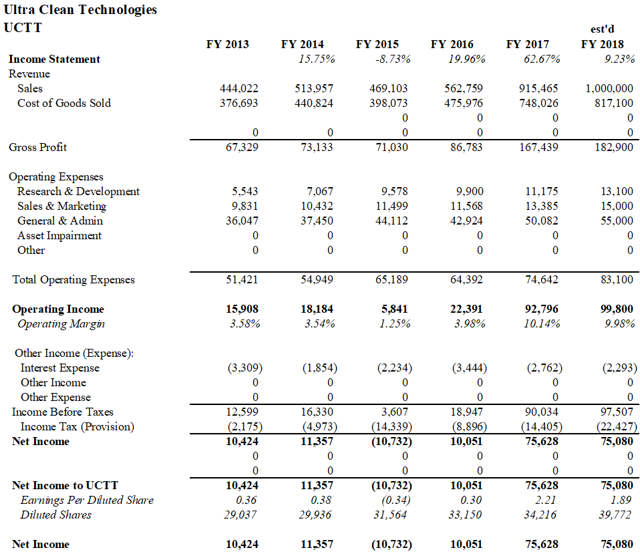 However, UCTT’s $780 million market capitalization continues to represent a discount to its intrinsic value. Using an earnings power valuation method indicates that Ultra Clean could easily fetch $27 per share as capital equipment manufacturers continue to expand. Based in Hayward, CA, Ultra Clean has not been immune to the notorious cyclicality of the semiconductor industry. Sales dropped to $470 million in 2015 but recovered in 2016 to $563 million (see Appendix 2 for income statement history). The massive surge in sales expected for 2017 is a rapid departure from recent trends and does raise questions about the durability of future growth. Management is optimistic about 2018. CEO Jim Scholhamer praised his company’s prospects after exceeding $250 million in sales during 3Q 2017. During his answer session with analysts in October, Scholhamer confidently proclaimed the $300 million mark appears to be just around the corner. The team also believes that these additional sales can be generated by the existing asset base. UCTT derived 48% of sales in international markets. The firm has major manufacturing facilities in Shanghai, Singapore, Hayward, and in the Philippines (through subsidiary AIT). Other major locations include South San Francisco, Chandler, AZ and the Czech Republic. 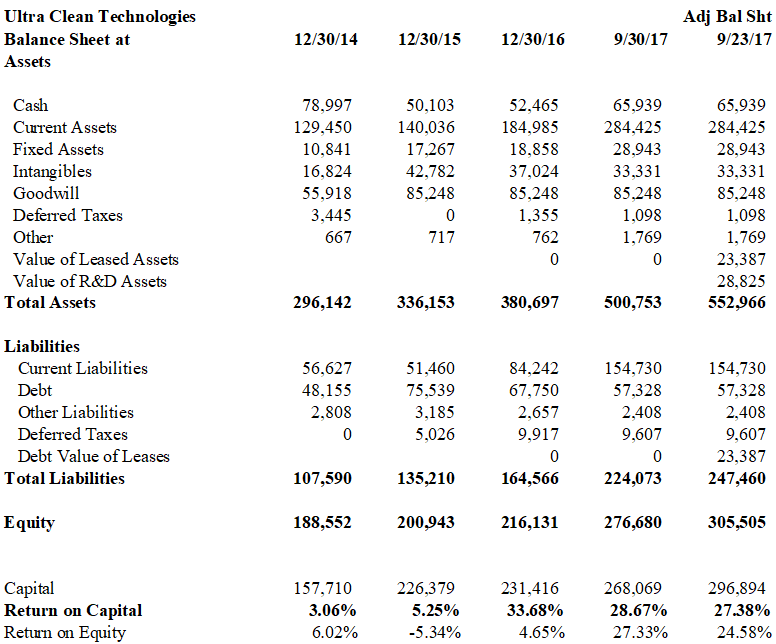 UCTT has a solid balance sheet. They carry various bank loans totaling $57 million with interest rates ranging between 3.75% and 4.25%. Cash on the balance sheet came to a total of $66 million at the end of September, 2017. In an industry tasked with creating ever more sophisticated ways of packing circuit capacity on silicon wafers, UCTT operates in a rather mundane segment of the supply chain. They build gas and chemical delivery components as well as specially machined metal parts for chip fabrication equipment. They have strong expertise in the precision welding of parts in an industry that measures success in nanometers. Operating in the less glamorous world of being an outsourced supplier for companies like Lam Research (LRCX) and Applied Materials (AMAT) means that UCTT may be more susceptible to the wide swings in demand and supply that occur cyclically in the industry. Indeed, during the third quarter of 2017, 59% of sales went to Lam Research and Applied Materials accounted for 24.5%. While UCTT’s components may be specialized (robotic parts are among their stable of products), they are not as technologically sophisticated when compared to the microscopic heroics of the semiconductor industry. Barriers to entry are lower at this end of the food chain. Major competitors include Flex, Foxsemicon, and Celestica (CLS). Ichor Systems (ICHR) is a major competitor in gas delivery systems. UCTT invests about $10 million in research and development annually and an additional $10 million in capital expenditures. Most of the competitive strengths of the company lie in the engineering talent and practices rather than intellectual properties and patents. In September, UCTT received a supplier excellence award from Lam Research. Shareholder dilution is also a risk. Shares sold off 4.5% after the company announced a public offering of $100 million of stock in January. Funds will likely be used to invest in new manufacturing capacity and fund acquisitions. In 2015, the company acquired Marchi for $39 million and 1.5 million shares were issued to fund the purchase. So far, raising capital through equity markets to fund expansion has been beneficial for shareholders and another accretive acquisition may be in the offing. Feldhan: Yes. With 3D NAND, you’ll have an array that is more like a cube or a three dimensional chess board with interconnections and wires going horizontally and vertically through the matrix. That is why companies like Applied Materials and Lam Research are thrilled since memory manufacturers will have to buy 5 or 10 times the amount of etch tools. Wafer fabrication equipment spending will push towards $45 billion in 2018. So what about the stock? 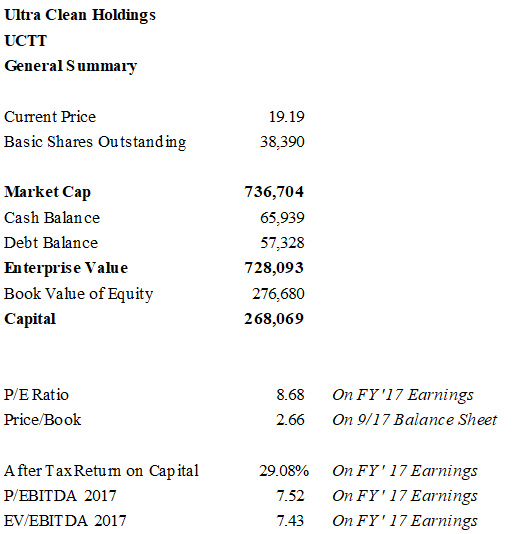 I employed an earnings power valuation method favored by Bruce Greenwald and the Columbia School of value investors, and I arrived at a valuation of $22.65 per share. There are three critical assumptions in the model which present a reasonable margin of safety. First, I estimated 2018 sales of $1 billion, in line with the past quarter. Sales in the current year could be much higher. Second, I tempered the 10% operating margins from 2017 and management’s similar predictions for the coming year. Instead, I used the average operating margin for the past five years: 5.78%. Third, I used a weighted average cost of capital of 8.79% as the adjusted free cash flow denominator. An equity risk premium of 5.08% was added to UCTT’s current cost of debt to derive this factor. One can argue that a lower cost of capital could be employed. Greenwald prefers not to use beta in the generation of estimated costs of equity, but choosing this route results in a lower weighted average cost of capital of 7.83%. The intrinsic value for this method would levitate the stock of UCTT towards $27 per share. In this latter exercise, I referred to the semiconductor supplier industry beta of .98 rather than the lower beta ascribed to UCTT itself (.82). The price surge on Tuesday was an unexpected (and welcome) surprise, but it also took some chips off the table. My expected valuation of $22.65 seems less exciting than it did 48 hours ago, but I believe the current price continues to represent a discount and an attractive investment opportunity. 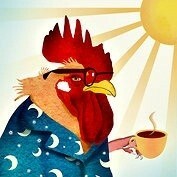 Disclaimer: As always, the author has presented his own opinions and analysis. You should conduct your own due diligence before investing. Disclosure: I am/we are long UCTT.